This article was originally published in the CANEGROWERS Magazine on 12 December 2018. Minister for Environment and the Great Barrier Reef, Minister for Science and Minister for the Arts, Leeanne Enoch, signing a ‘Cane Changer Commitment’ on CANEGROWERS Innisfail Chairman, Joseph Marano’s farm (Right). It’s now been almost two years since Project Cane Changer officially launched in the Wet Tropics. Funded by the Queensland Government’s Department of Environment and Science, Cane Changer is a CANEGROWERS initiative that has been working with growers to highlight the positive changes taking place throughout the industry and help build an even more sustainable future. With the help of local district CANEGROWERS offices, more than 250 growers across the Wet Tropics have jumped on board since February 2017 to ‘set the record straight’ about the sugarcane industry. The second year of the project started strong with newly-elected Minister for the Environment and Great Barrier Reef, Leanne Enoch, visiting CANEGROWERS Innisfail Chairman, Joseph Marano’s farm to sign a Cane Changer Commitment just two weeks after entering office in January. In doing so, Minister Enoch pledged her support to the sugarcane industry committing to recognising the industry’s on-going efforts to improve farming practices, especially as they relate to the Great Barrier Reef, and to work collaboratively with the industry for a better future for the industry and the environment. “They’ve listened to cane growers and recognise the positive changes we’re making on our farms, so we’ve been able to work collaboratively towards better outcomes for all,” said Joseph. Cane Changer Project Leader, Dr John Pickering, said the recognition was a sign of the support sugarcane growers have from the Queensland Government. 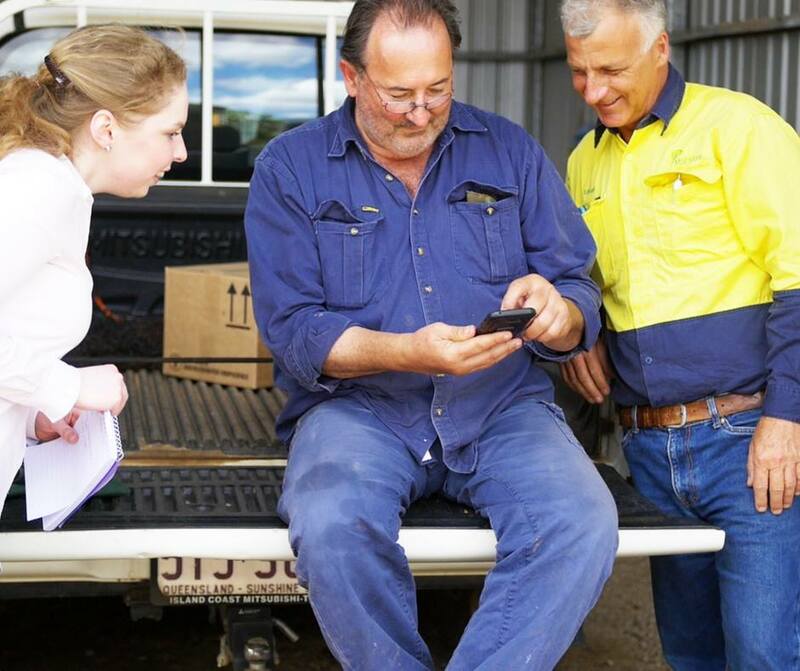 As part of the project, growers are invited to sign up to the project through their own Cane Changer Commitment which asks growers to highlight many of the on-farm practice changes they’ve been making over the years. And there’s certainly been some changes that are worth celebrating, with growers throughout the active project districts collectively reporting they have changed more than 1,600 practices over the past decade. What else has happened this year? Cane Changer has worked alongside CANEGROWERS offices in each active region to develop and implement workshops based on local industry issues. In March, a workshop held in Mossman saw more than half of the sugarcane growers in the district turn up to have their say and hear more about what’s been happening in their district. In the Cairns and Tully regions, recent ‘Women’s Field Days’ were organised in partnership with local CANEGROWERS offices to celebrate the vital role of women in the industry and identify ways to continue to support them into the future. “Women help drive this industry and we believe it is crucially important to recognise the role they play on-farm and support them wherever possible,” said CANEGROWERS Cairns Region Chairman, Stephen Calcagno. In Innisfail, the achievements of local growers were celebrated at an event held with CANEGROWERS Innisfail. Growers were presented with a ‘Cane Changer Declaration,’ recognising the practices they’re changed in the past and highlighting those they’re aiming to work on into the future. Together, Innisfail growers have changed well over 400 practices in the past decade. “We’ve faced some scrutiny over our connection to the Great Barrier Reef and over the years growers have been making significant changes to help protect it,” said Joseph Marano at the session. Cane Changer Project Leader, Dr John Pickering, presenting to growers at the most recent Tully Variety Management Group meeting. It’s likely this initiative and willingness to give things a go that was behind the results of the latest ‘Wet Tropics Report Card,’ which showed that the conditions, nutrient and sediment runoff of eight of the nine Wet Tropics catchments were graded as either good (B) or very good (A). These comments come after the recent increase in BMP accreditations throughout the Wet Tropics. In just two years, there has been more than a 300% increase in Smartcane BMP accreditations throughout the Wet Tropics, with districts such as Tully increasing by over 1000%. As Dr Pickering explains, it’s statistics like these that can go a long way to set the record straight. “It’s these statistics that we can show as proof that growers have been doing the right thing and are continuing to make changes on their farms to improve their productivity and protect their environment,” he said. As Cane Changer continues into 2019, we will be looking to take the project to other regions across Queensland and will be working with the local CANEGROWERS board in each district to continue to roll out strategies throughout the Wet Tropics. If you are interested in finding out more about how you can get involved, please get in touch. As a final note, the Cane Changer team would like to thank the CANEGROWERS boards and our project partners for working with us throughout the entire project design, implementation and evaluation. Most importantly, we’d like to thank all of the growers who have jumped on board with the project. Thank you for giving us your time, inviting us on your farms, and sharing your story. We’re wishing you all a safe and enjoyable holiday period, have a very merry Christmas and we’re looking forward to working with you all in the New Year!